How do gorillas see the world? Eye-tracking is used to evaluate the ways in which humans see and process the world. These methods have previously been used in other great apes (primarily chimpanzees). Chimpanzees and humans show similarities and differences in scan patterns. For example, chimpanzees respond more to cues from other chimpanzees, whereas humans respond equally to both species. Few studies have attempted to use this method in gorillas. By exploring the ways in which gorillas respond to familiar and unfamiliar images, we can begin to explore how gorillas see their world, and what images are meaningful to them. Methods already well-validated in humans can be applied to shed light on salient features of the visual world and allow us to explore how these stimuli may impact gorilla behavior. This type of research offers an amazing opportunity to actually see what another species sees! From the time we are children, we constantly wonder, “What is that animal thinking?” and until recently we have had to accept that we just can’t know. Through the use of eye-tracking technology, it is now possible to learn how an animal views their world! For example, do gorillas respond differently with respect to how long, or where they look on an image of a familiar versus an unfamiliar gorilla? What about images of familiar or unfamiliar humans? Or facial expressions? We hope that this investigation will provide insights into how gorillas view and interpret the world, and that we can use this information to modify zoo environments to provide positive stimulation and interaction. Our goal is to initiate a long-term investigation at the Buffalo Zoo in Buffalo NY. We will begin by first confirming that gorillas will focus on an image on a screen. Then, using Tobii eye-tracking equipment, we will measure gorillas’ gaze duration and location within the images displayed on a screen. We will compare individual differences as well as responses based on age or position in the troop. We will first start with images of familiar and unfamiliar gorillas, then continue with a range of stimuli as the study progresses. Some of the stimuli we hope to use include faces of familiar and unfamiliar humans and gorillas, as well as some videos of gorillas in action. We hope to learn how visual attention relates to a gorilla’s response to varying situations. This is the single piece of equipment that we need for our study. New eye-tracking equipment and software generally runs between $15,000 and $20,000. However, we have located several units on Ebay that would meet our needs. We can get additional equipment (stand, flat-screen monitor) with the limited research funding we currently have. Always the optimists, we have stretch goals! If we are able to get $6000 we will buy a new cart system. If we get $8000 we will buy different equipment and slightly more advanced software. Finally, if we are able to get $10,000 we will look at purchasing the real equipment we originally wanted!!! This project sheds light on how gorillas use their visual stimuli to navigate their world in their captive environments. The findings of this project will be useful for the management of captive gorillas and valuable to their welfare, as it will reveal how they respond to their world including both their conspecifics and humans around them from their own views (and not based on human assumptions of their views). The project is nicely designed and I am confident that the researchers are well qualified to carry it out. This is a potentially groundbreaking project about how gorillas think about the world around them. It's well designed and the researchers are fully qualified--and excited to carry it out. This team is very qualified to carry out this project which may lead to new information about gorillas and how they view the world, what is important to them, and ultimately give us information on how we can best care for them. The views expressed are mine alone and not the views of Chimp Haven or it's affiliates. 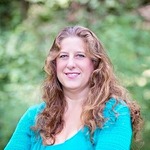 Sue Margulis is chair of the department of Animal Behavior, Ecology, and Conservation ("ABEC") at Canisius College, Buffalo NY. Previously, she was Curator of Primates at the Lincoln Park Zoo in Chicago, and Behavioral Research Manager at the Brookfield Zoo in Chicago. 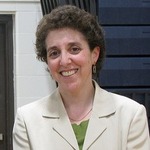 She moved to Buffalo in 2009 to join an exciting new program in the Biology Department at Canisius. ABEC became a department in 2011, and Margulis became chair in 2016. ABEC offers minors in zoo biology, conservation, and anthrozoology. 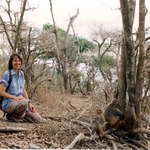 Margulis has studied primate behavior in zoos for most of her career, with emphasis on gorillas. Her undergraduate research team at Canisius ("Team Ape") does most of their research at the Buffalo Zoo. Sydney Chertoff is a current junior in the all-college honors program at Canisius College studying Animal Behavior, Ecology, and Conservation and Psychology. She has been a member of Team Ape since she was 16 in high school. 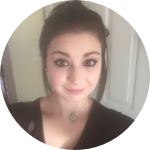 This project is an undertaking of Sydney as it greatly combines her interests in animal behavior and psychology. She is interested in continuing on to graduate school to learn more about field work with non human primates and desires to focus on the psychology of non human primates. 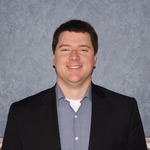 Jonathan D. Rodgers is research faculty with the Institute for Autism Research (IAR) at Canisius College, Buffalo NY. He has worked with the IAR for 11 years on development and validation of various psychosocial intervention programs for children with high-functioning autism spectrum disorder (HFASD) including a summer, school, and outpatient program. His interest in face processing and the emotion communication system led to initial work with eye-tracking as a method of studying these elements of behavior in children with HFASD. 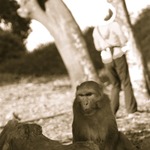 The current work represents an extension of this method and concept of research into non-human primates. It is an exciting opportunity to work with Team Ape and promote cross-departmental collaboration. Getting ready to test out our "stand" (modified mic stand). We'll be using velcro to attach an iPad. We are resourceful!